After a long gap between “Jurassic Park” movies, the latest film “Jurassic World” hit theaters recently with largely positive audience reviews, but underwhelming paleontologist reviews. If you don’t know what a paleontologist is, it’s basically a dinosaur scientist. There’s always someone out there who will complain that something is not scientifically accurate. In the case of Hollywood, those cries are largely ignored for the most part, and thank goodness for that. I don’t want to pay money to see a scientifically accurate movie. Imagine how boring those would be. How the hell are we supposed to know what dinosaurs looked like anyways? They’ve kinda been extinct for a few million years. But I digress. The movie is fantastic and action filled, with multiple dino and human deaths. In fact, it’s a lot more brutal than I remember the first three being. A few more curse words and I’m sure it could have warranted an R rating. The plot centers around a genetically modified dinosaur with extreme intelligence who (of course) manages to escape and wreak havoc. 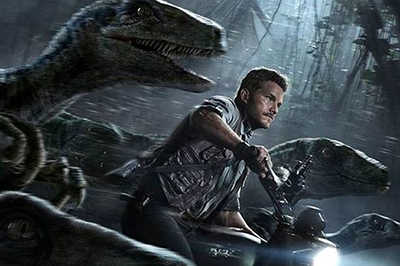 As things quickly start going downhill, Chris Pratt and his team of velociraptors set out to track down the rogue dino. There also is a plot involving two brothers being sent to the renovated theme park by their mom because her sister is a head scientist there, but this plotline seems largely irrelevant and not nearly as kickass as Chris Pratt’s escapades. Without giving too much away, Pterodactyls do escape and pick people up and drop them all over the place, and there is definitely a T-Rex showdown at the end, more than likely an homage to the “Jurassic Park” movies of the past. While director Collin Trevorrow is no Steven Spielberg, the movie is still solid. There is a definite shift in this movie toward more action-oriented scenes, and less attention is paid to storyline, characters and all that jazz. At the end of the day, “Jurassic World” gives us what no other film series really can: a thrilling depiction of the creatures that were masters of our planet for millions of years before us.